Play Ukulele Now: Get your Play Ukulele NOW Quickstart and get started right away for $2.00! 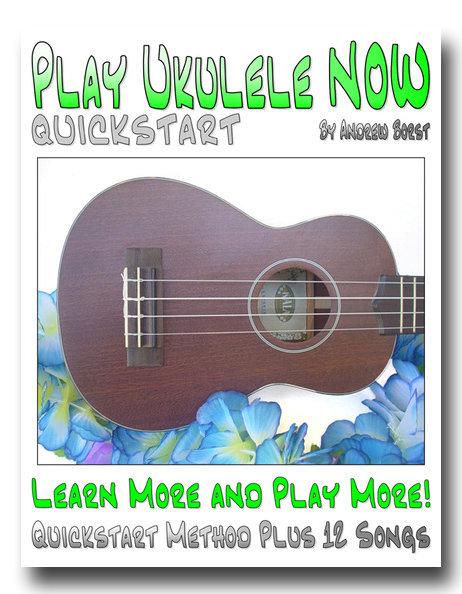 Get your Play Ukulele NOW Quickstart and get started right away for $2.00! With the Play Ukulele NOW Quickstart you get just the basics so you can get started right away! Play instantly with this 24 page Quickstart method! 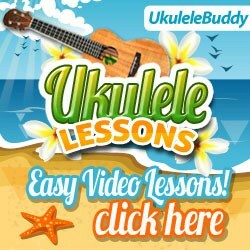 Learn how to tune and hold the ukulele, basic chords, strumming and play 12 songs. Learn more and play more with Play Ukulele NOW. This method will have you strumming along with your favorite folk songs in no time! Then it will provide you with a wealth of fun rhythms and songs for further study. In this book you will find the unique Play Ukulele NOW Key sheets, chord charts and rhythm studies! The comprehensive rhythm studies you will find in this book will provide you with a wide variety of fun rhythms you can use in many different songs!